Thinking back on Nancy and Jasons wedding, its hard not to smile and get all warm and fuzzy. There was just so much LOVE on that beautiful June day – and there was so much to love. First, Nancy and Jason were just about the happiest couple ever. Everything about this wedding, from the exuberant energy of the bride, groom, and guests, to the brilliant colors Nancy used in her decor, made this one to remember. Nancy thoughtfully included touches of her heritage from Ghana with the beautiful bridesmaid dresses and many of the guests arrived in traditional Ghanaian dress. 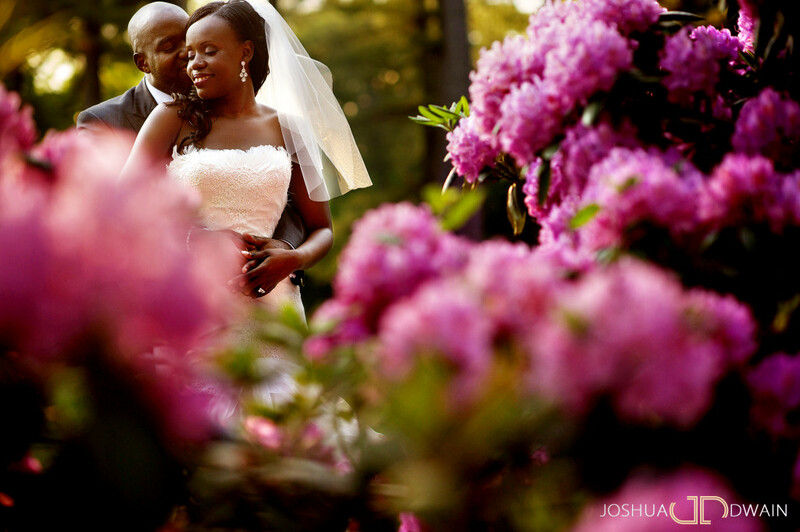 Do you want to see a colorful spring wedding at the Wadsworth Mansion? This one takes the cake. Beautifully photographed by Joshua Dwain Photography, coordinated by Galas Inc., and catered by Gourmet Galley, the pictures really say it all. Congratulations to Nancy and Jason! It was a pleasure hosting your wedding at the mansion and we wish you all the best!